We are Ian and Kim Grant. Owners. Pickers. Designers. Labourers and Sales Team at Timbers. 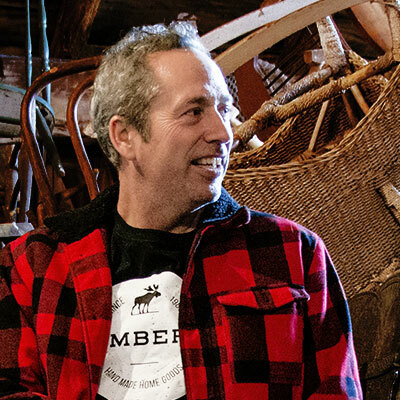 The story of Timbers began in the 80’s, when we purchased a century home in need of a lot of TLC. As we worked through our home renovation, we searched for authentic materials to bring the home back to its former glory. In the process, we discovered that a lot of great architectural pieces were being thrown into landfills. While we could not use all of the items we found for the renovation of the house, we discovered that these items could be used to create beautiful home décor. As we worked with these pieces to accent our new home, others saw them and began asking us to design pieces for their homes too. Thus, Timbers was born. 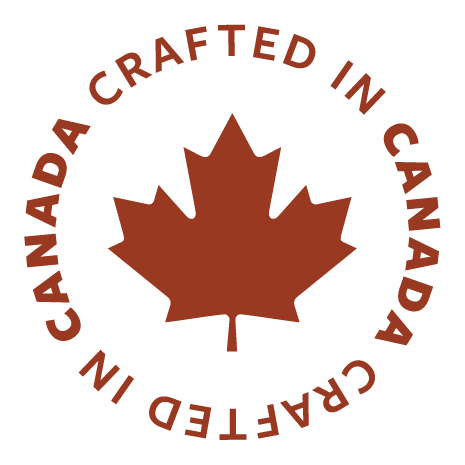 Since those humble beginnings we have moved twice, each time to larger properties, and expanded our product lines to include farm and industrial parts that would otherwise be headed for the landfill or metal scrapyard. Though our work is all encompassing, spending even days off perusing flea markets and antique shops, we love what we do and can’t imagine doing anything else. Ian Grant is the co-founder, head of acquisitions, and some (actually half!) of the labour force that comprises Timbers. 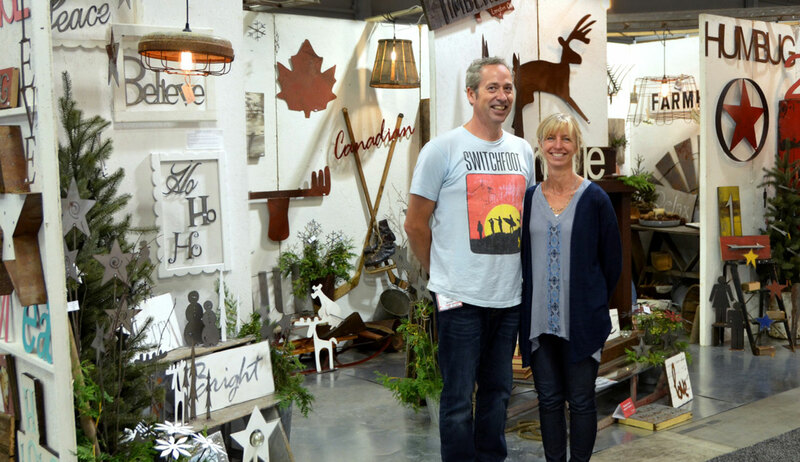 From his humble beginnings at high school art and shop class to his award winning handcut trees, Ian has continued to show great enthusiasm and energy for his passion of vintage, especially if it involves rusty painted metal. Outside of his work hours he enjoys continuing his study of lexicon, playing tennis, maple syrup production, and cutting wood. 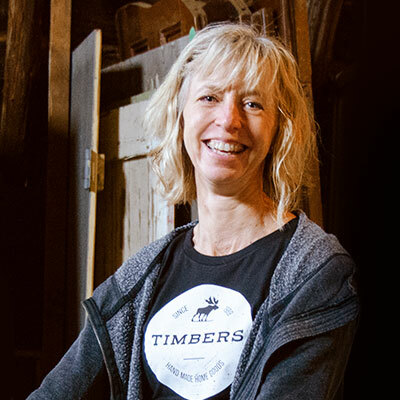 Kim is the other half of the Timbers duo. Covering the jobs that Ian doesn’t, she is also the head of production and inventory control. Having had a love of vintage since she was very young, Kim enjoys the opportunity to design unique booths for the Toronto Gift Fair, incorporating vintage pieces throughout. This passion has given Timbers a reputation of always having a fresh look that is a must see at every show. When time permits, Kim enjoys renovating and decorating her own home and though the opportunity does not arise often, taking long walks on the beach and relaxing by the water with a good book.